Sweden's title defence gathered pace as they made another eye-catching statement of intent to seal a spot in the UEFA European Women's Under-19 Championship second qualifying round alongside Spain, who took their mini-tournament tally to 23 goals. Denmark, Portugal and Serbia all qualified for this summer's showpiece and remain on course to replicate that feat, while Romania and Turkey will not compete in Wales next August. Serbia made it into double figures for the second consecutive match to ensure smooth progress. Captain Jovana Damnjanović was instrumental once more, with four goals in a 10-0 triumph against Cyprus. 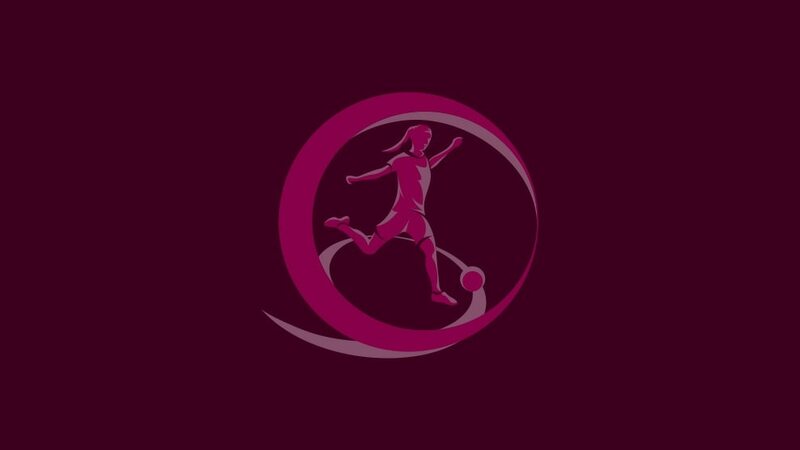 Joining them in the second qualifying round are the Republic of Ireland, whose ruthless 11-0 defeat of Latvia was shaped by hat-tricks from Clare Shine and Emma Hansberry. Austria will feature in the next round after five first-half goals proved sufficient to see off Kazakhstan and lift them to the summit. A place back are Italy, who came from behind to salvage a 1-1 draw against Greece, who must beat Kazakhstan in their final game to have any hope of clinching second place. Yana Kalinina struck three minutes from time as Ukraine edged out Croatia 2-1 to reach the second qualifying round. Also through are Belgium, who take their place following a commanding 4-0 success against the Faroe Islands, midfielder Elke Van Gorp weighing in with two second-half goals. Group pacesetters Northern Ireland made it two wins from two, rallying from a goal behind to consign Hungary to a 3-2 loss. Poland occupy second place after they sauntered to a stylish 9-0 win over Lithuania. They are now locked on three points with Hungary, who they face in a winner-takes-all showdown on Thursday. Comprehensive winners on matchday one, section leaders Scotland were given a sterner examination by Turkey, yet still prevailed 2-0 to qualify. Norway also maintained their 100% record, coming from behind to condemn Belarus – who had Vita Nikolaenko sent off – to a 2-1 defeat. Semi-finalists this summer, Søren Randa-Boldt's Denmark are half way to another final tournament appearance as they cemented their position atop the standings by dispatching Slovakia 5-0. Iceland lie second, also on maximum points, after prevailing by the same scoreline against Moldova to progress. Spain, the 2012 runners-up, produced another fine performance, cruising to a 7-0 success against Bulgaria, Celia Jiménez and artful midfielder Alexia Putellas both finding the net twice. Ángel Vilda's side face Finland – who also qualified after sweeping aside Estonia 11-0 – in their final Group 7 fixture on Thursday. The tenacity of the Portugal side that reached the 2012 semi-finals came to the fore again as they eased past Bosnia and Herzegovina 1-0 courtesy of Mélissa Gomes' 48th-minute winner. José Paisana's charges qualify alongside table-toppers Czech Republic, who powered past the Former Yugoslav Republic of Macedonia 9-0. Marija Banušić, 17, hit four goals inside 18 minutes as holders Sweden flexed their goalscoring muscles in a 10-0 win against Azerbaijan. Russia are in pole position to join them in the next round despite surrendering a lead to draw 1-1 with Slovenia, who must overcome Azerbaijan on Thursday to stand any chance of getting through. Anja Thürig's solitary strike after 22 minutes proved enough for Switzerland to get past Romania. They progress alongside matchday three opponents Netherlands, whose perfect start to Group 10 continued with a 2-0 victory against Israel. The first qualifying round concludes on Thursday.